Now this is a place which I can say I never seen before nor have tried anything like it. 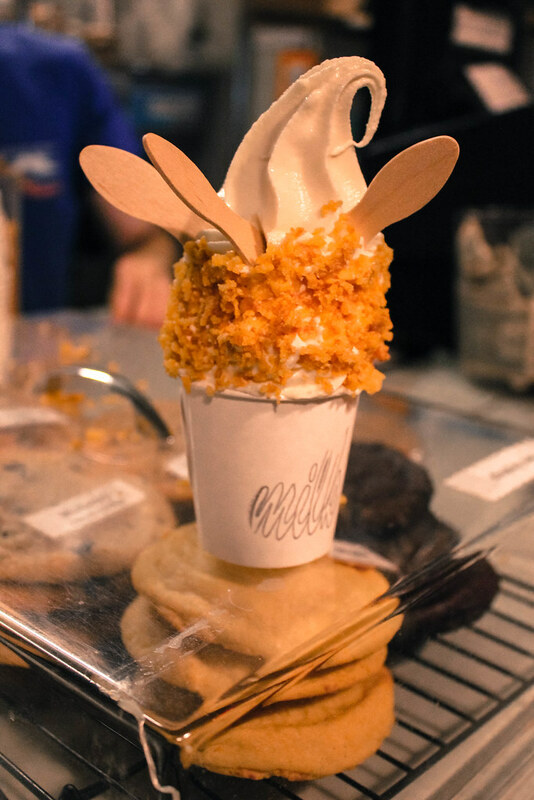 Momofuku Milk Bar located on 251 e 13 street is a tiny little dessert shop in the East Village. This is only one of five stores in NY (see more locations here). 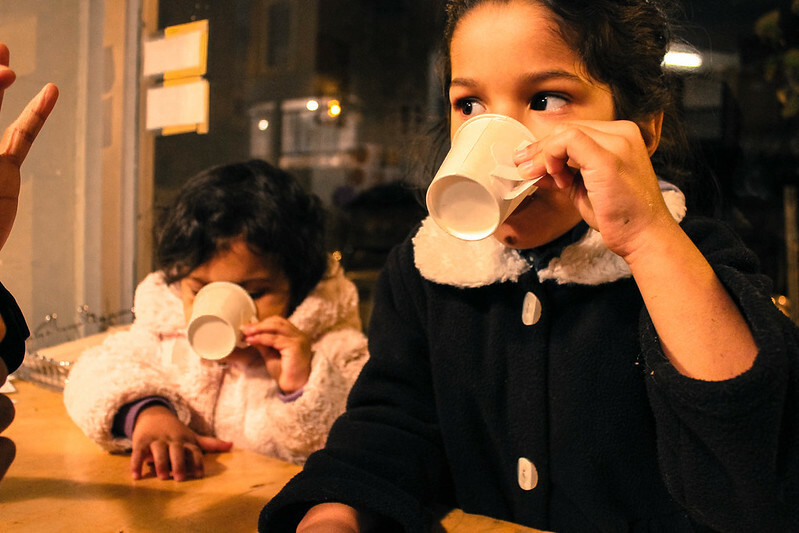 This Milk Bar serves unique sweets and coffees with the most out-of-the-box names like compost cookie and crack pie. Ahora bien, este es un lugar que yo puedo decir que nunca he visto antes ni he probado nada igual. 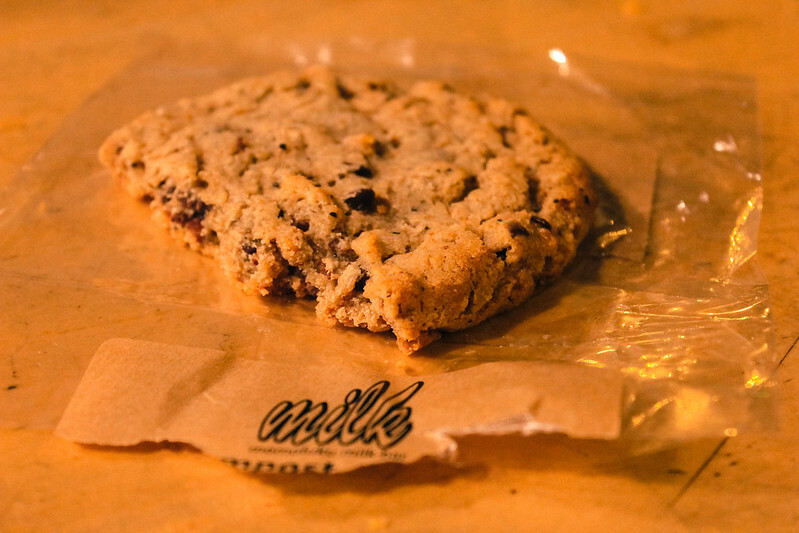 Momofuku Milk Bar ubicado en 251 e calle 13 es una pequeña tienda de postres en el East Village. Esta es sólo una de las cinco tiendas en Nueva York (ver mas ubicaciones aquí). Milk Bar sirve dulces únicos y cafés con los nombres más destacados que deben provar! 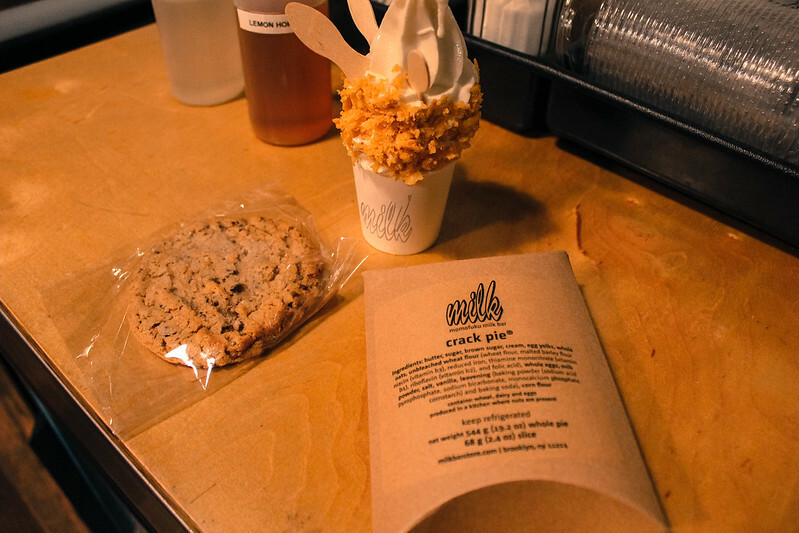 We ordered the composed cookie (1 for $1.85), cereal milk ice cream ($4.50), crack pie ($5.25) and cereal milk jug ($5). The cereal milk ice cream tasted like sweet frozen cream. They serve it with wooden spoons and cornflakes all around it. This will certainly take you on a childhood trip to memory lane. The composed cookie was good but quite frankly I don't remember much of it after tasting the 'crack pie'. This pie exceeded all my expectations of what a 'crack pie' should taste like. It was like a cold chewy all spiced pie. The most delicious dessert you will ever taste; guaranteed! OH MY GAWDD! That's all I need to say. 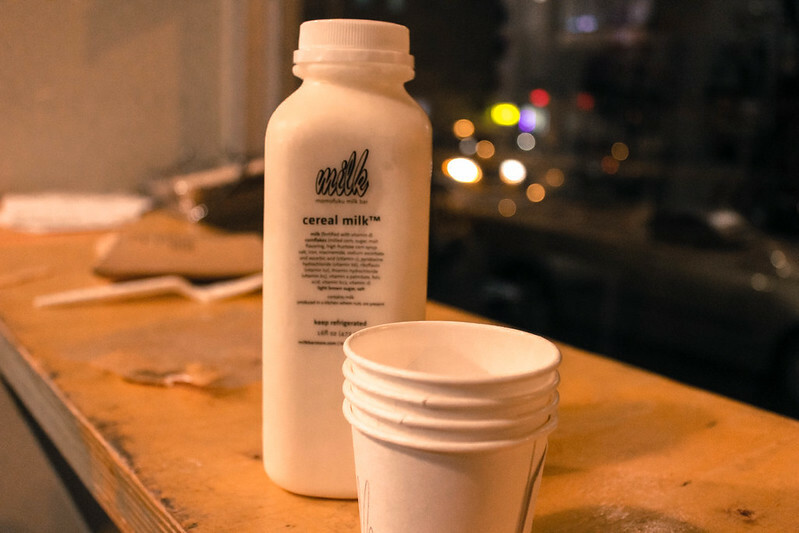 The cereal milk jug was a great end to this sweet trip. It tasted like the milk that is left over after you eat all your cereal. You know; sweet milk. 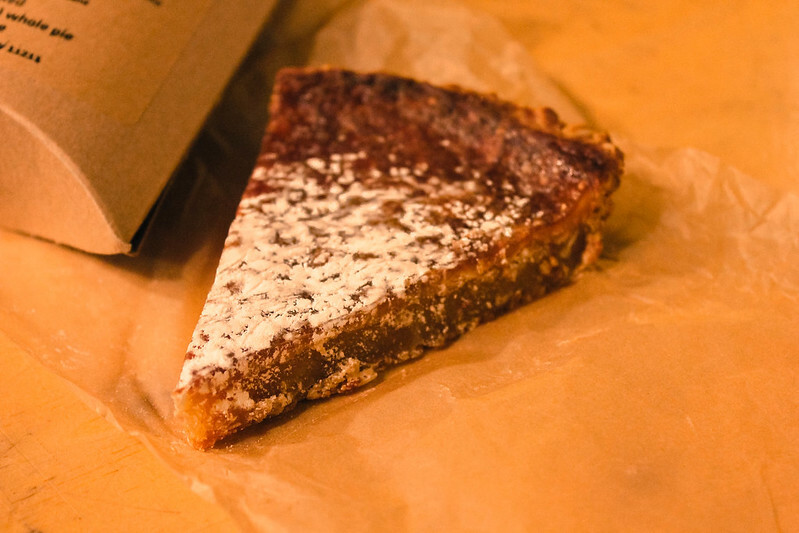 If you decide to visit Momofuku Milk Bar make sure to try the crack pie. I hope you have a great weekend! Pedimos la galletica de compuesto (1 por $1.85), cereal helado de leche ($4.50), tarta de grieta ($5.25) y una jarra de leche de cereales ($5). El helado de leche de cereal sabía como crema dulce congelada. Lo sirven con cucharas de madera y cereales a su alrededor. Esto sin duda lo llevarán en un viaje de la infancia. La galleta compuesto era buena, pero francamente no me acuerdo mucho de élla después de probar el 'pastel de crack'. Este pastel superó todas mis expectativas de lo que un 'pastel de crack' debería saber. El pastel más delicioso que jamás podrá desgustarle ¡garantizado! La jarra de leche de cereal fue un gran final para este viaje dulce. Sabía a la leche que queda después de comer toda su cereal. Ya sabes, como leche dulce. 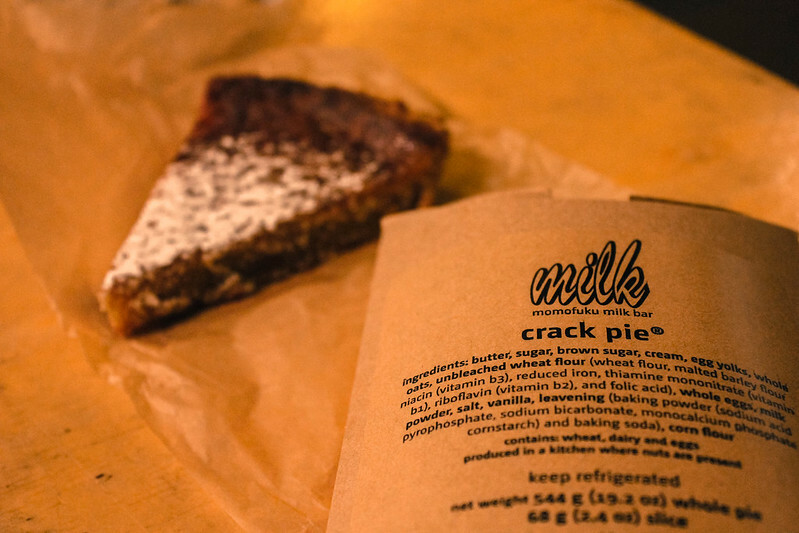 Si usted decide visitar Momofuku Milk Bar asegúrese de probar el 'pastel de crack'. Espero que tengas un buen fin de semana! I love around the corner. That place is amazing!!!!!!! I love this! Amazing how many undiscovered places in the city. Nothing like a sweet tooth find, thanks for sharing.